Another post from guest blogger Lexie Ermi. Hong Kong is a city I had never given much thought to. For that matter, Asia was a continent I had never given much thought to! But somehow, this summer, I ended up living in Hong Kong teaching senior middle schoolers (equivalent to our high schoolers) English. Say what?? I am blown away by the city, the culture, and the people here in Hong Kong. Hong Kong literally has it all. It has the bright lights big city atmosphere in the most extreme way possible. 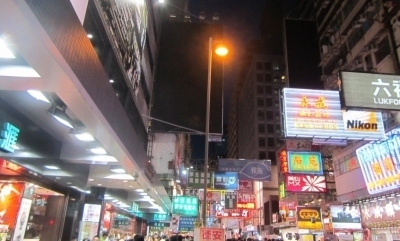 If you think New York City is fast paced, you need to visit Mong Kok in Hong Kong. Sensory overload extreme! It is beautiful in a pushy, hawker, blinding sort of way. 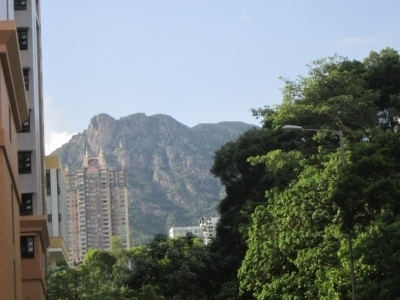 Hong Kong also has mountains. The humidity is insanely high and the heat is oppressive, especially in the middle of the day. But the mountains that you can see from almost anywhere practically make up for that. Imagine standing in the middle of a crowded city sidewalk and looking up to see luscious green mountains simply towering over you. Hong Kong is a city of paradoxes. And then finally Hong Kong has beaches! 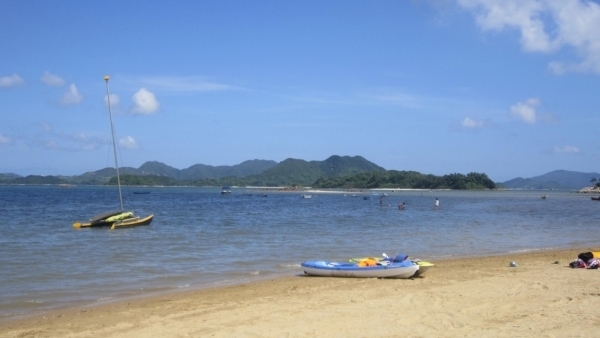 As if the mountains and the city weren't enough, Hong Kongers (yes, that is really what they are called) really get your goat by also having beautiful beaches. The water is warm (though the beaches are a bit rocky) and, where we were, very shallow. My teammate Megan and I went kayaking, which I had never done before and always wanted to do. It was such a cool experience. But this city that has it all also has its downsides. Though it seems to have everything, it also seems to have nothing. There is a distinct lack of meaning in the culture. The lights, the shops, are beautiful. And they are genuinely everywhere. Every single MTR (metro) station is surrounded by a mall. Think of our metro stations in DC—they are not exactly where the finest shops are. But here, even their public transit is swamped with shopping. The malls are clean, the metro stations are well-laid out and easy to maneuver, and the streets are free from homeless. It feels very safe. Yet it is this very state that seems to point to a lack of something more. They are trying to fill a void that cannot be filled by stainless steel malls. The shopping culture is inundated in Hong Kongers from birth. They eat, they shop, they eat, they shop, they walk to malls and sweat, they shop. When I ask my students what they did over the weekend, invariably the answer has something to do with shopping. It is more than an activity; it is a pastime, an attempt to fill the emptiness. The malls are seven or eight levels, massive structures, and it is more common to see a mall than a church. The malls never seem to fall into disrepair, and they never seem to close. To get to the MTR station, we have to walk through the Kowloon Tong mall. We have come home as late as midnight and found the mall still bustling. We have left for school as early as 7:15 and found the mall already open and functioning. I have never experienced a culture that places so high a premium on what can be obtained from the mall. The focus is not even just on the material goods themselves, but rather on the act and "sport" of shopping, or so it seems. Many people want to bring the gospel to people in the jungle, or the desert, or the Artic, or some place remote and far from human habitation. I once heard someone say, "There are more lost people in the city than in the jungle today." People with nothing frequently have the most joy in life. They know what they lack and they can often respond to general revelation (God's glory in creation) better than almost anyone else. But people with everything, living in a metropolitan world with anything they want at their fingertips, do not know what it is they lack. They think they know everything and so they think they have the answers. But they do not truly see the darkness in which they live. Summertime always seems to interrupt the flow of my business due to vacations and scheduling conflicts. Clients are away recharging with their friends and families, and organizations are typically not making big decisions regarding their leadership development needs. Each year when I am in Maine I try to reflect on trends I am seeing in the corporate and federal leadership space and get inspired on where I should be focusing, or a new idea pops into my brain that guides me for the next year. Two years ago I was inspired to focus on Millennials. At first I was thinking it was a book. I declared it, researched it, conducted over 100 interviews, and wrote the proposal. I learned a lot about what it takes to write a book, including self-publishing or traditional. Also how much time and money it requires. As a result, I developed a series of modules for workshops and keynotes and have been having a lot of fun with it. Clients responded well to the differences, and I believe many of the managers I worked with are more effectively leading Millennials now. As far as the book, I had to make the decision to put that on hold. Primarily due to the time it was going to require, and the energy it consumes. Since my husband is a stay-at-home dad, The Ermi Group supports us, so that is my primary focus, and I was blessed with new clients and very interesting work in the last year. Secondly, I think I missed the window of relevance. There are many books and articles out there on the subject, and I do not want to clutter the leadership book market with something that is a me-too. And you never know what the universe has in store. I look at my 6 year old and wonder what a book about her generation might look like in ten years and get very excited about the possibilities. This year however, the revelations and epiphanies I gleaned were not necessarily about what The Ermi Group should be focused on next, but what this Ermi girl is destined to become. I have been on a pretty significant self-development/awareness journey these last couple of years, and I was able to articulate and embrace what appeal and draw Ogunquit, Maine has had for me these last 30 years. 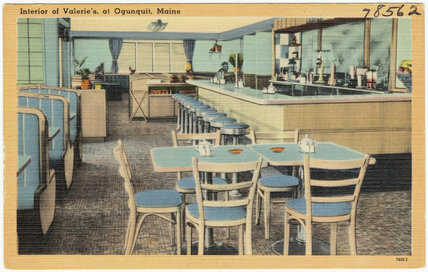 As I have shared, my mom died suddenly of a heart attack when I was 16, and when I discovered Ogunquit in 1982, the tranquility of the sea was a healing force for me, and when I moved here the summer of 1983, it was therapeutic in ways I hadn’t fully realized until this year. I always said Ogunquit makes my soul happy, and in reality, as fabulous of a beach town it is, I think it is more of a healing place. And a lot of the emotion that comes from grief and loss are conjured upon my return, and I am ready to move beyond that energy, and be a catalyst for generative possibilities. This is going to be my last summer in Ogunquit for a while. I am saying goodbye to this little town after 30 years of loyal pilgrimages and what it has represented to me. I may return some day as my daughter really loves it here, but it is time to explore some new venues. This chapter is closing, or maybe this novel has come to a serendipitous finale. I am about to write another epic. 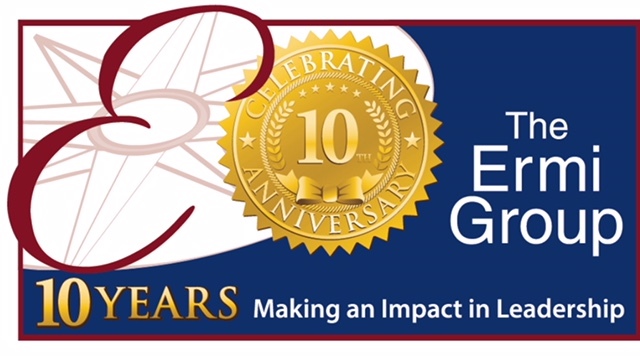 The Ermi Group is five years old! It seemed like a pretty big year, so here we are. I couldn't wait to get here. The weeks leading to our departure were hot, busy and taxing. God's way of making you feel like you earned this! A benefit of my job is I can coach clients on the phone, so The Ermi Group keeps churning! It doesn't even feel like work when I know I will end up on the beach in a couple of hours. Turning 50 is not the same as it was when my parents turned 50 I don't think. Four days after my dad turned 50 my mom died suddenly in her sleep. I was 16, and I had no capacity to even realize what impact it had on him. I am so lucky to have him as my dad. I am actually happier and more content with the life God graciously allows me to experience than I ever have before. I worry far less about what anyone thinks of me (a couple of exceptions of course – baggage from long ago I guess.) But I have learned to acknowledge and notice when I am feeling anxious or judged, and with some self-talk, breathing exercises and positive imagery I learned from my coach, I return to equilibrium in no time! Gratitude consumes me these days. I have let go of the negative energy I carried around with me when it finally hit me that my husband had a stroke in 2002 and he would not be returning to the workforce. Todd is doing better than ever, and he approaches life with joy and peace. Every birthday is a blessing in his world, and I love that about him. Friendship is another gift, and I truly do experience a life of abundance in this area. I got almost 200 Facebook well-wishes, multiple texts, calls and emails. Some people do not like that part of social media, but it put a big smile on my face! Here is to looking life in the face with hope, optimism and humor! 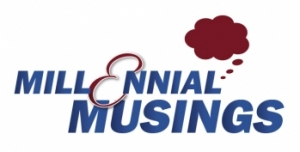 The Ermi Group is passionate about Millennials. In fact we have 2 on our staff, and one has agreed to write a blog post on the subject from a Millennial’s point of view. She also happens to be my daughter! Welcome to my guest blogger Lexie Ermi! Howe and Strauss promote a theory based on the concept of the “hero generation.” They claim that roughly every eighty to one hundred years, the United States has entered a period of crisis (re: Great Depression and WWII, Civil War, American Revolution, and the Glorious Revolution of 1689).Each crisis is propagated by some spark of history, and the hero generation must rise up, correct the excesses of its parent and grandparent generations, and essentially set the country back on its proper track. Howe and Strauss refer to this as a “hero trial.” A generation seen in a special way, protected from harm, pushed to achievement, pressured to behave, responds to a crisis situation and creates a new order from it—and that is a hero generation. The last hero generation was the G.I. Generation, who are now being compared to Millenials in many ways. 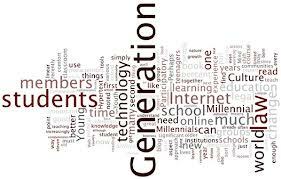 The Millennial generation began with high optimism and promise, as Boomers began having their babies and giving them everything they thought their parents hadn’t given them. 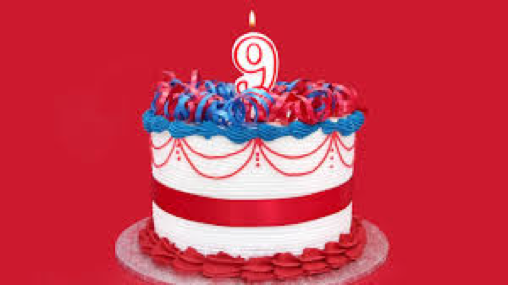 The first Millenials were born into a world where the economy was stable, the U.S. was secure, children were prized and cherished, and the future seemed bright. We have been told since we were born that we are special, that we can do whatever we set our minds to, that we can change the world. Teamwork, community, and honor have become core values of Millenials, again tying us to the G.I. Generation. Howe and Strauss comment on this, suggesting that perhaps Millennial will be the first generation with heroic capacities that are completely stunted as things just continue to get better, negating their ability to respond to a crisis as none exists! Howe and Strauss’s book, was written in 2000. Just a year later, the U.S. was rocked by the 9/11 terrorist attack, arguably creating what they refer to as a hero trial. It is an eerie coincidence. A civic minded generation was needed. But did one arise? In the line-up of Millenials, I am nearer to the end than the beginning. I am twenty years old right now, and I cannot remember a time when there were no metal detectors in airports (or security at public schools, for that matter), when national security was not a common phrase and terrorism not a constant threat. I cannot remember a time when the U.S. military was not mocked and derided for their attempts to correct the situation in Iraq and Afghanistan. Did we fail our hero test? 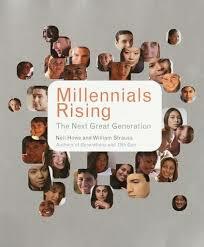 Howe and Strauss exalt the capabilities of Millennial to revolutionize society and create a new modern order. Imagine what could be achieved by such a generation, they say, so different from Boomers or Xers. facced with? Have they destroyed society? People such as Dr. Kermit and issues such as euthanasia may lead some to conclude the dark side of Millennial has conquered. Or have we merely lacked the capabilities of the G.I. Generation? Have we simply failed to do what our parents always told us we could do? Are we merely a lackluster, commonplace generation? I am hopeful that we aren’t done yet. I think Millennial could pull through and revolutionize society, bringing good things. We’ve gotten lazy since 9/11, complacent in our situation, and we have forgotten the urgency it once created. Perhaps what we really need is a new trial. Scary thought—and only time will tell the answer. This spring I was honored to be chosen as a breakout speaker at The Women’s Center 27th Annual Leadership Conference and while sitting at the speaker’s table during the opening session I scanned the impressive company and saw Rebecca Shambaugh a couple of chairs over. I had the privilege to meet Becky when she launched her It’s Not a Glass Ceiling it’s a Sticky Floor back in 2007 and I instantly admired her strength, compassion and style. I have recommended that book to countless clients, and it always resonates with them. It really shifted the way I look at my own self-limiting beliefs of what I can accomplish in a ‘man’s’ world of business, and I am a more effective leader as a result. Becky was a moderator for a fascinating panel discussion and also introduced us to her latest book "Make Room For Her: Why Companies Need An Integrated Leadership Model To Achieve Extraordinary Results". The concept of integrating all types of leaders into an organization, women, minorities, and generations for instance is interesting. I immediately referenced it in my break out session on Leading Millennials as I saw the correlation pertinent. 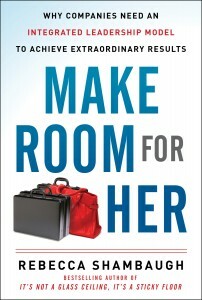 In the book, Make Room For Her, the author provides valuable data proving that successful businesses must have a more balanced team of men and women working together. This book features interviews with more than 50 top executives and case studies based on her extensive work coaching hundreds of women and men leaders. Women make up more than 50 percent of the U.S. workforce. By 2010, the number of women in the U.S. labor force had increased by almost 10 million, a growth rate almost one-third higher than that of men. Women are graduating at twice the rate of men across all disciplines at the graduate and undergraduate levels. Women own more than 50 percent of nearly half the 10.6 million privately held companies in the United States. Between 1997 and 2004, the estimated growth rate in the number of women-owned businesses was nearly twice the rate of all firms. She goes into great detail about the Gender-Based Brain Differences and how this will play out in a Leadership role. We coaches love the brain and neuroscience, and she does an excellent job giving us more ammunition to the criticality of enlightening ourselves about how we are hardwired. We will all benefit from a more balanced work atmosphere and she provides solutions that will work for both men and women. There is also valuable information from a man’s perspective on what women need to know to succeed. This is a must read for anyone wanting to lead their company to greatness. I plan to recommend this to my leaders, and it is always exciting to see a fellow coach and DC metro leader thrive and share their insights with us! Rebecca Shambaugh is an internationally recognized leadership expert, author, and keynote speaker. Rebecca is President of SHAMBAUGH, a global leadership development organization and Founder of Women In Leadership and Learning (WILL), one of the first executive leadership development programs in the country, dedicated to the research, advancement, and retention of women leaders and executives. Rebecca has coached and advised over a hundred leaders and executives and has enhanced their overall level of excellence in such areas as communications, strategic thinking, gender intelligence, visionary leadership, employee engagement, executive presence, and culture transformation. Prior to starting her own company, she worked for such premier organizations as General Motors, Fairchild Industries, and Amax Inc. as a senior executive in the leadership and human resources arena. Rebecca is a sought out speaker and has presented within organizations, major conferences, and executive forums regarding the 21st Century Leadership Model and her company’s research and best practices on leadership and organizational transformation. Rebecca has been showcased on TED Talks, Fox News (New York), NPR, Washington Business, ABC, and numerous syndicated radio talk shows. She has been featured in publications such as: Leader to Leader, The New York Times, The Washington Post, Huffington Post, Time Magazine, USA Today, Fortune Magazine, U.S. News & World Report, Pink Magazine, and Entrepreneur Magazine. Rebecca is a known thought leader in the industry and is the author of two best seller books titled, “It’s Not A Glass Ceiling, It’s A Sticky Floor” and “Leadership Secrets of Hillary Clinton,” and her new book, “Make Room For Her: Why Companies Need an Integrated Leadership Model To Achieve Extraordinary Results,” all published by McGraw-Hill. Her books illustrate her unconventional and results-focused approach to creating great leaders.